Let’s say that someone needs to buy a gift for a friend or family member, in order to share or inspire a love of cemeteries. 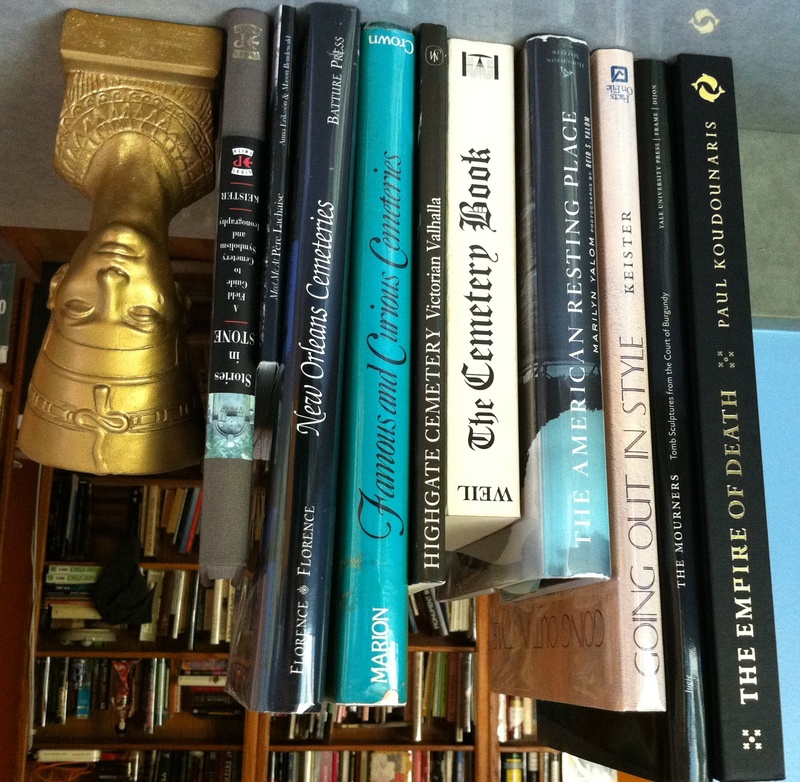 I’ve compiled a list of books that every cemetery devotee should have in his or her library. What’s your favorite? What’s the best place to start someone new? I’ve reviewed all of these books here on Cemetery Travel in the last year. You can find individual reviews by searching for the specific book title in that little box on the upper right. You can see all my cemetery book reviews by clicking “book review” under the Categories list on the right-hand column. I’ve included a mixture of brand-new books with old classics. There should be something for every price range. If you would like more recommendations, let me know. I had a hard time limiting myself to 10 books. If there are books that should be included on this poll that I’ve missed, please feel free to add them! As always, there is no way to link your preference below back to you. You may vote in complete anonymity. This entry was posted in Cemetery poll and tagged Highgate Cemetery, New Orleans cemeteries, Pere Lachaise Cemetery. Bookmark the permalink. 2 Responses to Buying a cemetery book for the holiday? Great list!! Very helpful with the holidays drawing near. I will definitely be referencing this! I like that one, too. I wanted to add Brooklyn’s Green-Wood Cemetery: New York’s Buried Treasure by Jeffrey I. Richman, but I was trying to keep it to 10 books on the list. Next year!